This recipe will serve about 2 adult serves and 2 kids serves but just add more or double the recipe. Is great to stick into the fridge for later too. 1. 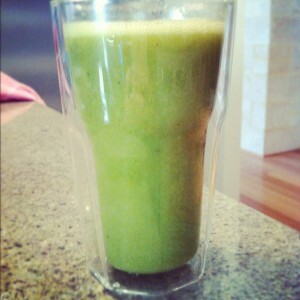 Add the strawberries, Banana, Spinach and Ice blitz on speed 9 for 1 minute. 2. Add juice and water mix on speed 7 for 15 seconds. 3. Serve Straight away while it is chilled or return to the fridge for later. By adding the ice in with the fruit for the first blitz it gives it a really smooth consistency. Always blitz the fruits first and then thin it out with your apple juice, water or coconut water. This will ensure the smoothest mix. add the fruits in season. If you have banana in the freezer then add the frozen banana and just omit some of the ice. My general rule of thumb is to add my fruit then in a nice tall glass use that for the ice and then use the same amount for the fluid. 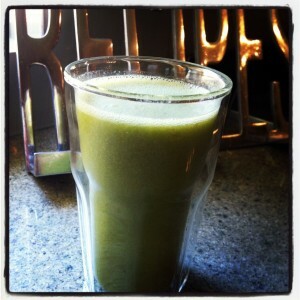 Get your Green smoothy On!